Does your business have outdated or incorrect business listing information in online public databases like business directories or search engines? 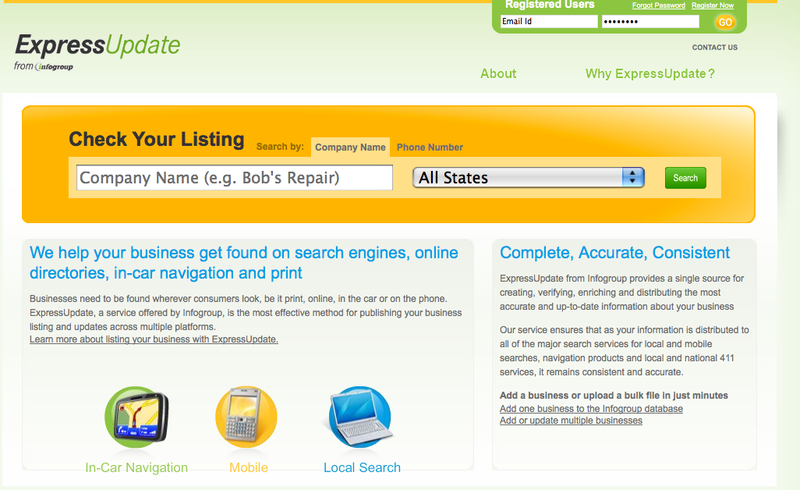 Update your business listing data through ExpressUpdateUSA.com and your corrected business information may find its way into both online directories and major search engines like Google. This entry was posted on February 26, 2011 at 3:56 pm and is filed under How To Update Your Business Listing Data For Search Engines. You can follow any responses to this entry through the RSS 2.0 feed. You can leave a response, or trackback from your own site.